Air Terminal Services (ATS) provides ground handling at the Nadi International Airport and employs 250 workers. This includes baggage handling, check in, engineering and catering for all airlines. The workers are members of Federated Airline Staff Association (FASA). After the workers returned from a shareholders' meeting on 16th December they were locked out. Air Terminal Services (ATS) provides ground handling at the Nadi International Airport and employs 250 workers. This includes baggage handling, check in, engineering and catering for all airlines. The workers are members of Federated Airline Staff Association (FASA). After the workers returned from a shareholders' meeting on 16 December they were locked out. 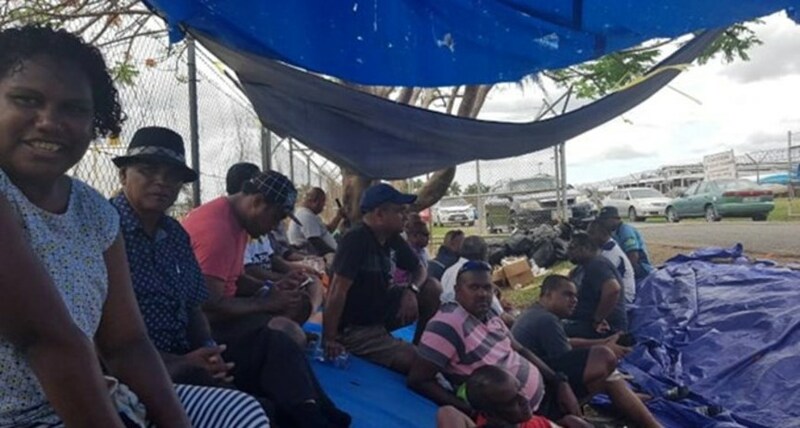 Workers have 49% shareholding in Air Terminal Services with 51% belonging to the Fijian Government. The union and its members are being targeted because they have raised issues about the company's poor management by the current Chief Executive Officer. This includes not receiving any pay rise for 11 years and a failure to address and resolve outstanding workplace grievances.